I do a lot of baking and like to buy bulk sized bottles of vanilla because I go through it so quickly. Time after time, I'd reach into the pantry for the large, clunky bottle and find it hard to hold on to and inconvenient to use and store. And don't even get me started on the lack of style this plastic bottle gave to my cupboard! ice cream, however. This is where spending extra for the real thing is worth the cost. After a little searching, my mom found a bottle of raspberry syrup at Home Goods that was in a beautiful container perfect for repurposing to hold the vanilla in the pantry. 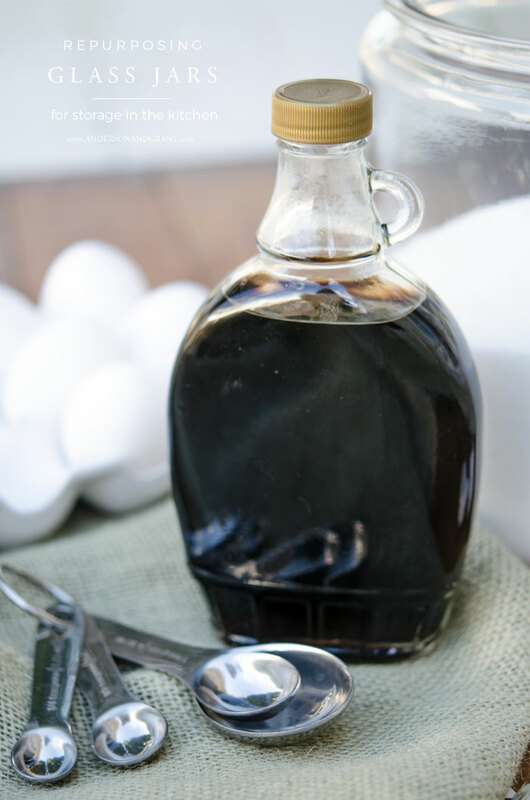 After enjoying the delicious topping on pancakes and waffles, the glass bottle was easily washed out and the labels were cleaned off the sides. Now I can fill the special bottle with vanilla and store the plastic bottle out of sight until it needs filled again. 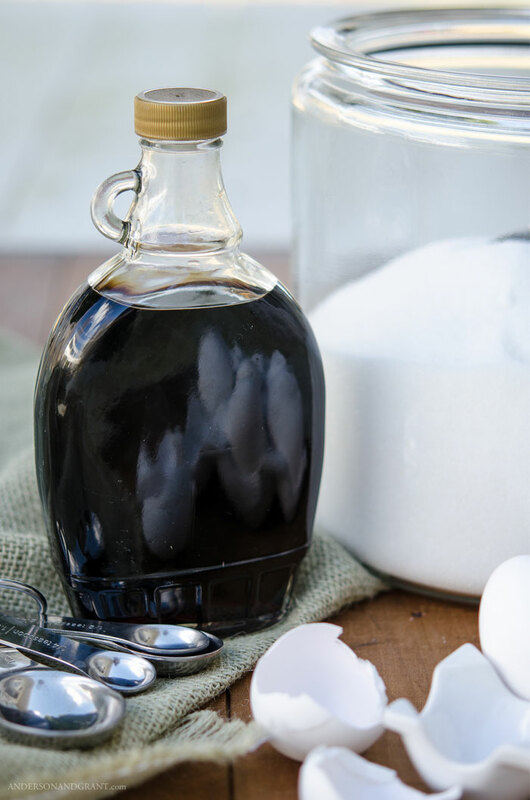 As crazy as it sounds, this simple bottle makes baking a batch of cookies seem a little more special. 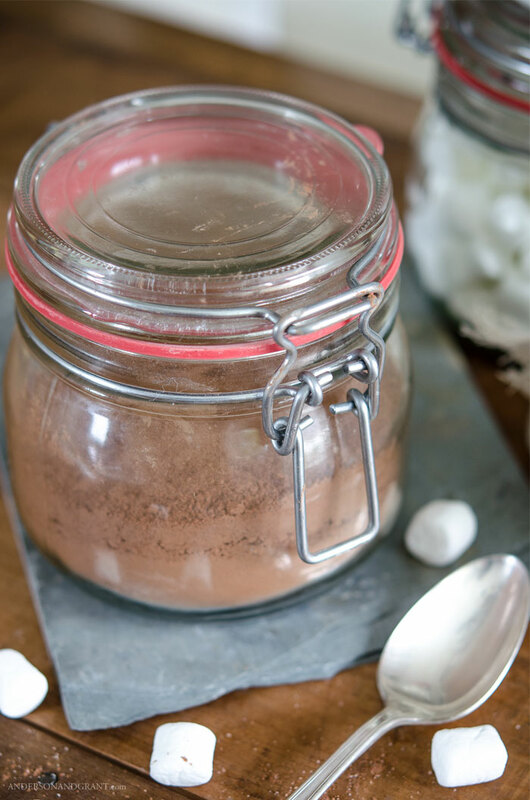 I've also repurposed some jars that had jelly in them from Christmas Tree Shops to hold my homemade hot chocolate mix and marshmallows this winter. 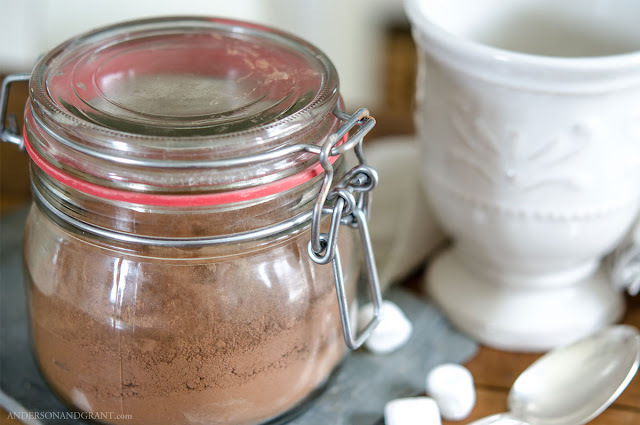 The large jars stack nicely and are much prettier to see and easier to store than a plastic container and half empty bag of marshmallows. Glass is a wonderful material that can be easily cleaned, used again and again, and keeps food fresh. Years ago, our grandmothers would save jars out of necessity and not just for re-use in the kitchen. Although there are plenty of options out there for us when it comes to purchasing storage containers, there is no reason why we can't occasionally save the jar we are ready to throw out for unique storage in our cupboards.